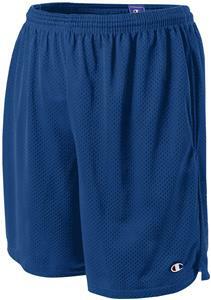 Champion VISR Adult 9" Mesh Shorts w/Pockets. Multi-needle waistband with internal looped drawcord. 2-needle bottom hem. Top Selling Item. - Multi-needle waistband with internal looped drawcord. - "C" logo left hem. WAIST 28- 30" 32-34" 36-38" 40-42" 44-46" 48-50" 52-54"
Wonderful product. Exactly what I wanted!